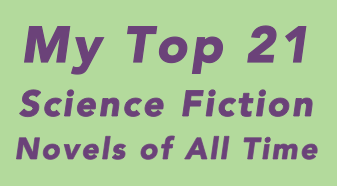 It is not likely that you will find this book on other lists of top science fiction novels. 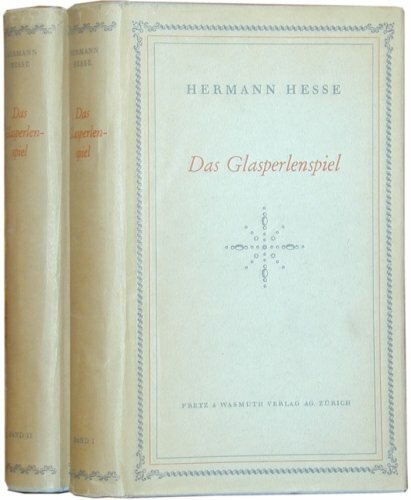 However, the great German author Hermann Hesse’s final novel The Glass Bead Game – which was also published in English translation as Magister Ludi – is a utopian novel set in an unspecified future (Hesse himself suggested he imagined the novel’s narrator writing in the 25th century). As the book also explores many of the themes enumerated in the prologue to this list including Art & Culture, Individual & Society, Philosophy & Psychology, and Religion & Spirituality, and has had a strong influence on my own ideals and personal search for meaning, it belongs on this list. Hesse is not what one would describe as a science fiction writer. The only other novel by him that might be described as at least speculative fiction is Steppenwolf (1927), which has been a focus of controversy since it was first published due to it’s experimental nature and scenes of drug use, sexual encounters, and the famous “Magic Theatre” where Harry Haller experiences his fantasies. Hermann Hesse is probably best known today (at least in the United States) for his short novel Siddhartha (1922), a short, lyrical novel about a spiritual journey by a contemporary of Gautama Buddha, which is often a part of the standard high school English curriculum here. Much of Hesse’s fiction is firmly set in the German tradition of the bildungsroman, or coming-of-age story – to which The Glass Bead Game could also belong, as the development of the protagonist’s character is central to the book. In many ways, The Glass Bead Game is a culmination of Hesse’s lifelong search through his writing for authenticity, the search for meaning, and the spiritual life. Most English-speaking readers today know it through its second English translation by Richard and Clara Winston, first published in 1969. The Glass Bead Game is set in a fictitious far-future European province called Castalia, where an austere order of intellectuals pursue the titular Glass Bead Game, a syncretic pursuit which combines principles of music, mathematics, and culture. As the novel progresses, the protagonist Joseph Knecht rises within the order to become its leader at the same time questioning, through a series of conversations with a childhood friend, the ethics of the intellectual who withdraws from society for “higher pursuits”. In some of the most beautiful, luminous prose ever written, Hesse weaves a compelling story around themes as disparate as the Germanic classical music tradition, the Chinese I Ching, shamanism, and the monastic life.